I've had the idea of a local wedding blog stuck in my mind for a long while now. After prodding from colleagues and matched excitement from the studio staff when I shared my vision, we set right to work on designing a blog we would like to read but that doesn't yet exist. Huddled around computer screens and brainstorming over lunch at a nearby cafe, Love and Lobster was hatched and today, is live online for you to enjoy. We hope our posts will bring a smile to your face and offer some insight to those planning a wedding here from afar. Our concentration will be in Maine initially, and then expand to include other coastal New England locations. We will be posting daily and welcome any and all suggestions for topics in our Ask Us section. We are accepting real wedding Love Story submissions from vendors and brides alike, and have prime real estate available for advertising. And don't miss the exclusive deals for Love and Lobster readers included in our weekly Inside Peek posts. Our beloved Christina is going to be a mom in September! With the busy changes in her life ahead, we're preparing to wish her well as she transitions to stay at home with her new little bundle leaving very big shoes to fill at emilie inc (and emilie ink!). We are going to miss her dearly and tho we can't clone her, we would like to, and are seeking someone just as kind and talented and fun to have around as Christina has been for the last several years. More specifically, we're looking for a graphic designer to work as an independent contractor to tackle small design projects for the studio as well as weekly client album designs and revisions, inspiration boards and graphics for our new blog Love & Lobster (launching next week! ), and photo card templates and branding for emilie ink. The ideal candidate is skilled in Adobe Illustrator, InDesign and Photoshop, is highly organized, can complete tasks in a timely fashion and enjoys a small work environment. Pay is based per project to start and does have the potential to become a part-time or full-time employee position. Contractor may work from home (local to Portland) or at the studio. All interested applicants should submit a cover letter, resume, portfolio and references (don't forget your references!) to photo[at]emilieinc[dot]com asap. We will be conducting interviews as we receive applications, so don't delay. Proud congratulations to Whitney for earning a second place win in a national wedding photography contest called emerge! There were hundreds of entries in five different categories. Whitney placed second in the Favorite Wedding category with images from Megan and Evan's 2009 Harpswell, Maine, wedding. In its inaugural year, emerge was created to help recognize new talent in the industry and supply a proper platform to help elevate these emerging photographers' careers. The contest was sponsored by a host of amazing companies which have generously supplied the winners with some fantastic prizes including liveBooks, ShootQ, Pictage, Rangefinder Publishing, Sony and theknot, to name a few. Take a moment to browse Whitney's contest entries by clicking here. I feel as tho I need to write a bit of a disclaimer here as this contest is the brainchild of my husband J who works for liveBooks and also photographs with emilie inc. He did organize the contest, but he did not have any influence or knowledge of the judging and the results. We are featured in an article about Maine and the wedding industry in MaineBiz this week. Reporter Jackie Farwell is the twin sister of our own image manager/associate Denise, and it was fun to gab with her about what's happening locally. You'll notice she's the first to share the news of a project we've been working on that will launch later this month. Not sure what I'm talking about? You'll just have to read the piece to learn more! 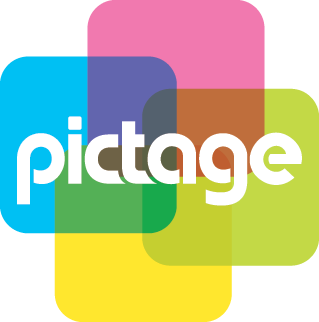 Last night marked the official kick-off of our new format for Maine's Pictage User Group (PUG), a group of local professional photographers. Peter Dennen, director of photography at Aurora Photos in Portland showcased a beautiful body of work as we chowed on yummy Otto Pizza and talked about the elements of great imagery and stock photography. Photographer Cyndi Smith of Kennebunk was the lucky winner of a year subscription to a liveBooks website and Patrick MacNamara of Cape Neddick won a print credit from Pictage. Many thanks to all the new faces who joined us and contributed to the conversation. Our next get together will be Thursday, July 15th, topic TBD. So, if you don't already know, I have a huge fear of video cameras. HUGE. I can't tell you the number of times I have been interviewed and clam up when that large lens is pointed in my direction, recording every awkward and often inarticulate reply and "um" that comes out of my mouth. So when I was asked to appear on Fox's Good Day Maine today to speak about my Chamber of Commerce Propel entreverge award from last spring to help pitch next week's awards celebration, I said yes but didn't tell anyone as I didn't want anyone tuning in who normally wouldn't. I should have known that it would be posted online, which it is, and to my surprise, isn't totally awful so I am sharing with you here. Just a note that they must have pulled the images in my segment from my website which are mostly J's and not from my portfolio. Go, J! If you want to attend the rockin awards party for this year's recipients, join us and our Maine Snapshot Studio next Wednesday at Port City Music Hall. Details here. Continuing our welcome wagon of new faces, say hello to Sharon, another fantastic addition to our team! Sharon was initially in touch back in January via mutual friends while she was living in Brooklyn and contemplating a move to Portland come summer. Fortunately for us, that move panned out and she's now comfortably residing in an apartment on the East End and joining us to photograph weddings on the weekends. Sharon grew up in Connecticut and studied fine art and zoology at Connecticut College. She drove around the country in a jury rigged camper van before moving to the Florida Keys. She lived on a boat off Key West and opened an art gallery called The Lemonade Stand. After six years of living, painting and photographing there, she moved to Hawaii where she spent a lot of time underwater and lived in a tiny cottage with an outside bathtub under a banana tree. And then, exhausted from living in such lovely places, she moved straight to Brooklyn, New York where she survived for a year with a lot of hot showers and hand-made scarves. Her travels have taken her to lots of amazing places including the Great Barrier Reef, Morocco, the west coast of Ireland, Paris and Vancouver Island. She now lives in Portland with her two rescued Brooklyn kittens and is grateful she arrived in May, not December. Sounds like a great chick flick plot, doesn't it? We adore Sharon and her breezy positive personality (tho we're a bit envious of her height and wavy locks). Be sure to also check out her stunning paintings on her website here. I can't wait to get a few of her gems on my walls at home! So, in the most bizarre of coincidences, Anna and Owen found both emilie inc. and their venue, Migis Lodge, by way of searching Google for Maine wedding locations and stumbled across my blog. Wild, no? For the third week in a row, I was back at Sebago Lake to photograph. Different in both scope and feel from the other two, surprisingly enough, and a great testament to something I always find myself saying: the tho they generally follow the same script every wedding truly is different from the next. Even in the exact same location! "Nice" was the word that kept being said at Saturday's wedding. Nice day. Nice couple. Nice guests. We- J, Denise and I- loved photographing this crew and their lakeside celebrations. Everything just felt comfortable and gosh, Anna and Owen are just so darn adorable together. They have the kind of love that movies are made of, the type that makes your heart melt to witness. We were set up on a blind date in October 2004. The date did not go technically well (late start, cold boat ride, take-out meatloaf, no kiss), but from the first moment of the first date we felt as if we had known each other our entire lives. It was more than our common interests and backgrounds; we simply got along like best friends. We have argued, ate, loved, and laughed for hours and days and months and years since. View their album design below or click here to open in a separate window. Anna LOVES whoopie pies, and so she had a local baker make enough to pack into everyone's welcome baskets. Yum! Her bouquet, the men's pocket squares and their place card table featured Anna's favorite cloth from Liberty of London. The ladies took over one of Migis' fabulous cottages to get ready. Meanwhile, Owen spent some time writing a letter to Anna and reflecting on the ceremony ahead before meeting up with his groomsmen. Anna and Owen's getaway transportation: a sweet solo ride around the lake post-ceremony. And a few of our favorite appearances in our Maine Snapshot Studio at the reception. Our designer Christina has been busy helping professionals rebrand their businesses with custom logos and correspondence pieces but her most recent labor of love was designing a custom invitation suite for our wedding photography clients Jeanna and Tyler. Looking for something truly unique, Christina guided them through the back-and-forth process of creating a trousseau that best reflects their personal taste and vision for their seaside nuptials next month. Our friends at Gus & Ruby Letterpress in Portsmouth did a stunning job printing the finished product. Take a peek at a few images below, and read Christina's account on the emilie ink design blog here. Sweet baby Sutton is 6 months! Can't believe how quickly time has flown since I captured this little love at just 4 weeks old in December. Instead of the bitter cold, this time our portrait landed on a scorcher of a May day, with all of us quite sticky but certainly smiling. Enjoy the chance to view just a few of my favorites from our portrait session at Sutton's home in New Hampshire. He showed me the photos they had framed from our newborn session. And then we headed outside. In the frenzy of relaunching our website in the spring, we were lucky to align all of our schedules for a staff portrait day at the studio. Talented artists and friends Joanne McDonough of Joya Beauty and Lena Hartford of Hair That Moves set up shop at our conference table and transformed our drab morning faces into, well, us, only better. You have seen the results on our team page, but I'd like to show you a little behind-the-scenes of how the morning unfolded. We started early, when the sun is brightest in the studio, with muffins and coffee. Joanne, right, and Lena, left, got right to work. Whitney, a bit apprehensive at first, loved the fake eyelashes Joanne applied. Menawhile, Lena was busy taming our manes. We all agreed we wouldn't mind starting every morning with such pampering. And then it was time for our mug shots. The guys, feeling a little slighted to be excluded from the beauty process, kept us giggling in between takes. And, yea, we're our own worst critic. I'm sure it was pretty amusing to see photographers take photos of each other, right Lena? Our team has already grown by 4 more since! You've already met Denise, but check back for more introductions this week and next. Brides: if you're in the market for hair and make-up artists for your wedding day, these ladies book up super early. Tho independent businesses, they often work together and better still, they'll come to you! So no need for the hassle of trekking to a salon with your maids and mom.